More than three million soldiers fought in the war from 1861-1865. More than half a million died, and almost as many were wounded but survived. Hundreds of thousands were permanently disabled by battlefield injuries or surgery, which saved lives by sacrificing limbs. Life and Limb: The Toll of the Civil War explores the experiences of these veterans, who served as a symbol of the fractured nation and a stark reminder of the costs of the conflict. Find out if Life and Limb will be near you. 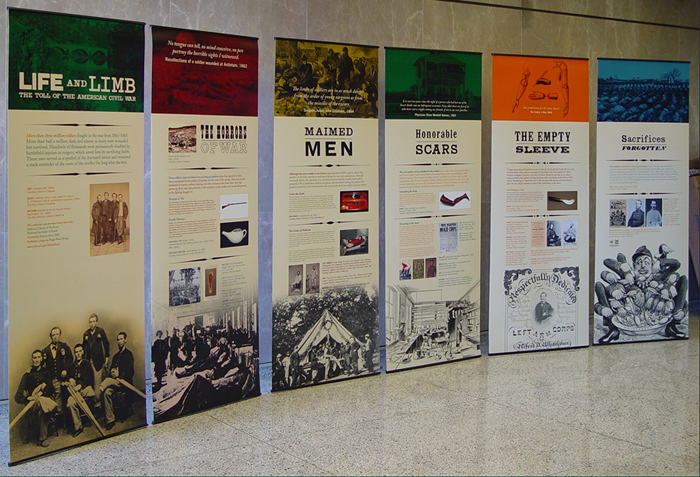 Find out more information about hosting Life and Limb: The Toll of The American Civil War.